As security threats become more sophisticated and compliance requirements more complex, many security operations can't keep pace. Without the ability to pull together meaningful, real-time intelligence from across their systems, they can't make the right decisions quickly enough to identify and prioritize threats, respond to incidents and limit damage, or proactively protect the business from future risk. 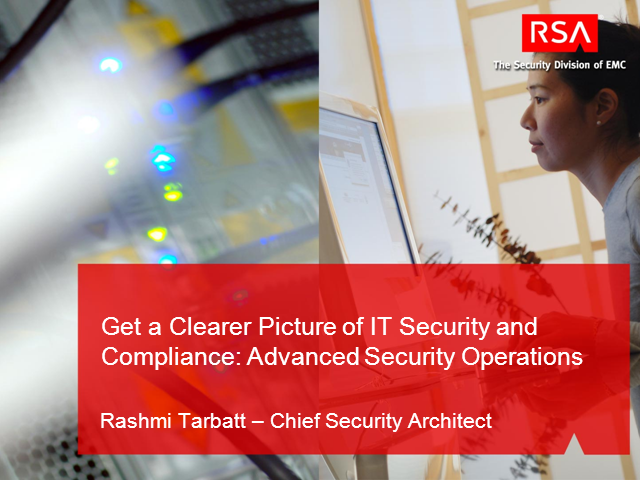 In this presentation, Rashmi Tarbatt at RSA, The Security Division of EMC, will present the business case for moving to the next generation of security operations.